Jimmy Nail - Ready Steady Gone! Not long ago, an old friend recommended that I should read Jimmy Nail’s autobiography suggesting that I may find some interesting stuff about local north east bands at the beginning of the book. I looked the book up on Amazon and saw that the title is ‘A Northern Soul’. As I’ve recently been playing baritone sax in a Northern Soul band, I decided, based solely on the title of the autobiography and the connection to my current passion, to go ahead and order. A few days later the book arrived with a portrait of Jimmy Nail on the front looking very deep in thought. The front cover described the book as ‘riveting‘ so I set about reading it straight away. Talking about the bands he used to go and see, Jimmy says; “Sneeze with their cover of Spirit’s ‘I Got A Line On You, Babe’ and Rod Foggon on vocals – he sounded great and really looked the part”. Of course, Sneeze isn’t the only local Newcastle band that attracted Jimmy’s attention. Others he mentions in the book are; Raw Spirit, Blondie (later to become Yellow) with Keith Fisher on drums, Brass Alley, the Sect and, of course, the Junco Partners. I remember that Sneeze did a pretty good version of ‘I’ve Got A Line On You’. It’s one of those songs with a distinctive catchy riff – surprisingly a riff that hasn’t found its way into any other rock hits over last four decades. Spirit did the original version but there have been quite a few cover versions by, amongst others, Alice Cooper and Jeff Healey. I’d always regarded Jimmy Nail as a musician who had found his way into acting. However, for most people, having first seen him in the TV series ‘Auf Wiedersehen, Pet’ in the eighties it’s probably the other way round. I only saw a few episodes of ‘Auf Wiedersehen, Pet’ and it wasn’t until the early nineties that I became a fan of Jimmy Nail in his role as the Newcastle detective, ‘Spender’. A drummer I used to know in the seventies called Phil once told me that he’d spent some time with Jimmy Nail in London before he became famous so I had already heard stories about drunken brawls in London pubs. In the book Jimmy bares all about his alcohol fuelled early life and the trouble it got him into, including a spell in prison for assault. In 1971 Jimmy Nail (real name James Bradford) ventured into the world of showbiz when he landed a part as an extra in the movie ‘Get Carter’, which was mainly filmed in Newcastle and Gateshead. Jimmy’s part involved him being in a crowd at Newcastle’s Oxford Galleries when the star, Michael Caine rushed past. In 1976 after a spell working on a building site in London, Jimmy Nail was arrested for brawling in Sheffield after a football match and at a subsequent court hearing was sentenced to 4 months in prison for assault with intent to occasion actual bodily harm. On his release he returned to Newcastle and found full-time work in a factory. Jimmy’s ambition to become a full-time musician got the better of him and in 1977 he quit his job, invested in a PA system and went to London with a couple of mates with the intention of putting a band together. The resulting band struggled to find gigs in London and the members decided to go down the route of performing at US military bases in Europe. They teamed up with an American vocalist named Gaye Perez. 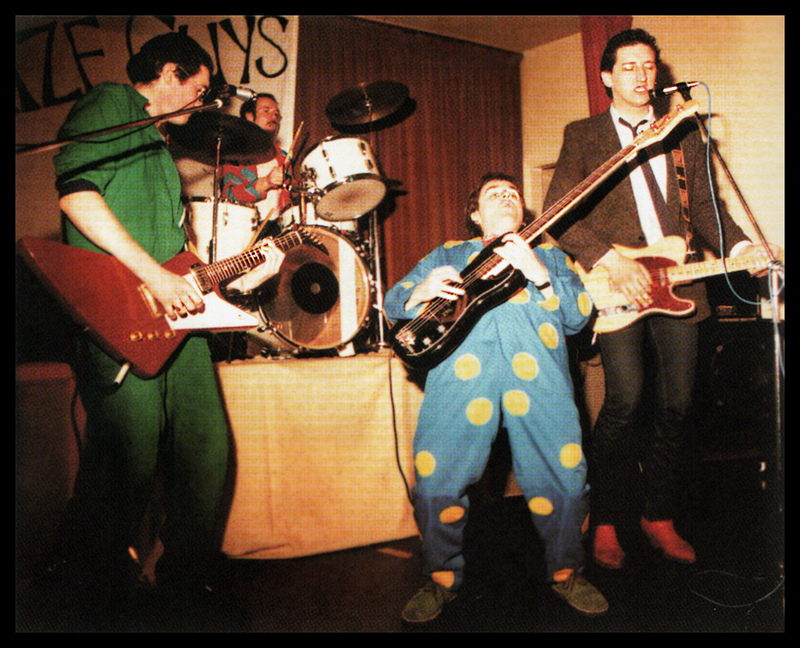 The gigs in the US bases didn’t materialise so the band returned to Newcastle and did some gigs in working men’s clubs before grinding to a halt. At the end of 1980 Jimmy Nail formed another four piece band called the King Crabs. 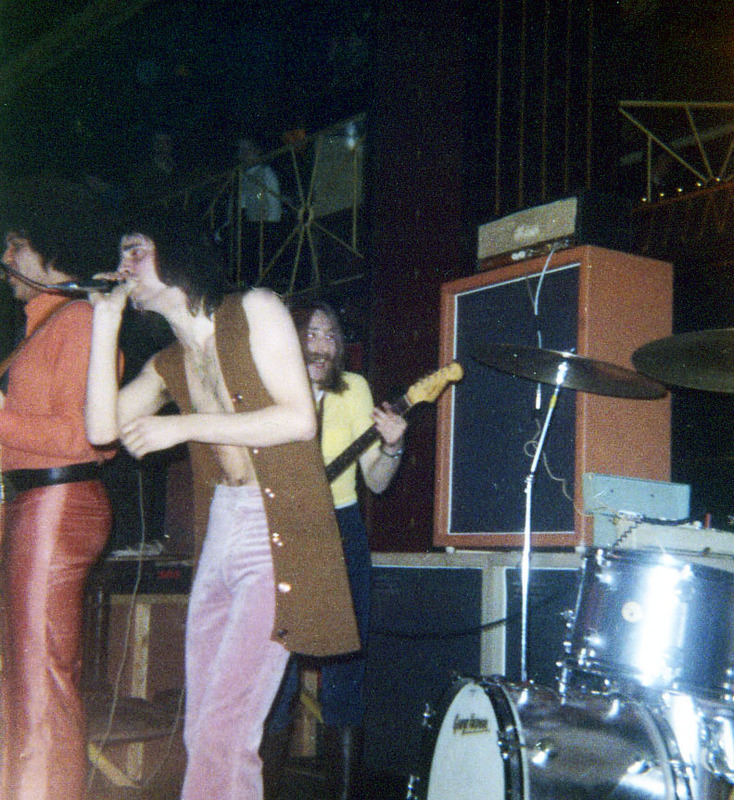 The collective ambition of the band members was to follow in the footsteps of other Newcastle musicians and bands that had made it big – acts such as The Animals, Lindisfarne and Bryan Ferry. Although building up a good following in the north east, success never came for the King Crabs (sometimes called ‘The Prize Guys’) and the band fizzled out. But just around the corner was Jimmy’s big acting break as the character Oz in the comedy/drama series ‘Auf Wiedersehen, Pet’. A few years later in 1985 when he was a successful actor, Jimmy Nail was given the opportunity to record a single and album for Virgin Records. The connections that he’d built up in his career as an actor had given him access to some of the best musicians around. The album was produced by Dave Richards and Queen’s drummer – Roger Taylor who also played drums on the sessions. The bassist was Phil Chen who started his career with Jimmy James and the Vagabonds and later went on to play with Rod Stewart’s band. The single – “Love Don’t Live Here Any More”, a cover of the Rose Royce hit, was released in 1985 and reached number 3 in the UK charts. The Album, entitled “Take It Or Leave It” was released in 1986. Six years after his debut album as a singer, Jimmy released the single ‘Ain’t No Doubt’, which reached number 1 in the charts in July 1992. I always liked this song and the accompanying video which has some great choreographed performance shots in a posh London night club; light years from the Mayfair in Newcastle that Jimmy frequented in the early seventies. I do, though, clearly remember the mighty Sneeze's version of 'I Got A Line...' as being very meaty, plenty of punch to it, and Rod was a top front-man, born to it, looked the part. The girls must've loved him. I seem to recall seeing Spirit at the Mayfair with Randy California on guitar (a white Strat?) and bald Ed Cassidy on the traps. Around that time Brian Johnson was in the Gobi Desert Canoe Club, still one of the best, longest and daftest names a band ever had for my money. Thank you for the above kind words, much appreciated. The posh club you mention was the Cafe de Paris, situated in a basement in Leicester Square. When we were done in there we nipped around the corner and filmed the exteriors in the stairwell of the underground station. Wow - you never know who's reading your blogs! I did wonder when I read 'A Northern Soul' why my old mate Phil didn't get a mention. It's 30 years since I last saw him so I can't really challenge him about those 'Jimmy Nail' stories he used to tell. They sounded convincing at the time, in particular the one about the 'nuttin' contest' (headbutting for non-Geordies) allegedly instigated by Jimmy while on a pub crawl in London. I remember playing on the same bill as the Gobi Desert Canoe Club at an open air 'Love In' at Newcastle's Haymarket in 1967. I had no idea Brian Johnson was the singer. I believe that 2 of the original GDCC are still performing in the north east in the Jasper Hart Band. Ken and Fred, from the 1967 GDCC, are still gigging regularly with the Jasper Hart Band. See the website for some old pics of the guys, including BJ, in GDCC and JHB. I also look forward to hearing Ken, Emily and crew in the Jasper Hart Band again too as I last saw them in June 2011! My husband, Len Frame, was lead guitarist in "Raw Spirit". I've just Googled them for fun, not thinking there would be any mention - shows you never know what's out there on the Internet! Wow i remember going to the City hall to see them (Raw Spirit), at least i think it was the City hall, they suported a baned called Man i think, Len is a cousin or second cousin to me , i remember going to the flat were he lived in with his perents , he had Hendrix all over the wall and i always remember the Gibbson Flying V he had. I wonder if you could answer a question for me please? I remember seeing you on ‘Auf Wiedersehen, Pet’ but immediately recognising you as a member of a pop group of previous years. For many years now I've racked my brains trying to think which group it was - could you remind me please! Alan Arkless (60's drummer) said it could have been 'the all-stars' or something like that maybe? Jimmy's band was called King Crabs.They played a lot of local gigs prior to Jimmy finding fame elsewhere. I used to print his posters. I remember one gig at the Azure Blue in Gateshead, powerful stuff. The band played a selection of Jimmy's brand of Anti-establishment punk rock/blues.Brian Johnson did a couple of numbers & Jimmy blew him away. At one stage, Jimmy came to the assistance of the rhythm section & whipped out his impressive manhood & attacked the snare drum.What rhythm. The guitar player with The King Crabs was one ROB LOCKHART aka "CHORD POWER"; long time member of the splendid "BIG RAY & THE HIPTHRUSTERS" aka "THE HIPTHRUSTERS". Got Jimmy Nail's CD on in my car now. Love all his music. Give some more Jimmy please. Love your songs and your voice.